Protestants in the USA. Jehowa’s Witnesses is a Judaic sect. The works of the sect founder Charles Taze Russel (16.02. 1852- 31.10 1916) indicate Judaism and Zionism, but not Christianity. 1878 became the year of decision making in the history of the Jewish people. Orthodox Jews achieved prominence. At that time Russel was consumed by a new doctrine. He has developed a doctrine supported by a number of Jewish leaders in America and Europe. This is what he taught: Jews do not need Jesus, there shouldn’t be any messiahs among Jews, it was wrong for the Jews to accept Jesus as their Lord and Redeemer. The land of Palestine belonged to the Jewish race (they are not a race but a family) and now God was calling them back to Palestine. Russel was the first Zionist. 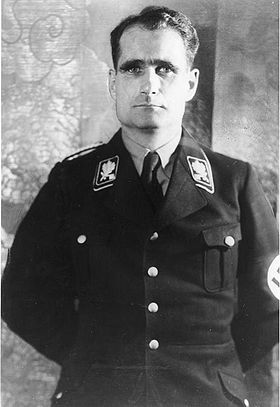 May 10, 1941 Rudolf Hess, being furer’s deputy of the Nazi Party, according to the official version, secretly from the Nazi leadership, has flown to Scotland with the purpose to propose to the British government to conclude peace and together fight against the USSR. It is necessary to consider the opinions about prevention of WW2 aftermath revision and the Nurember trial should considered as an opinion of criminals who are still socially dangerous and are a threat to humanity. Both such people and their opinions are a threat to humanity. Again they are planning to implement the same ideas as Pol Pot (Salot Sar) in Cambodia (Campuchia), but with transfer onto the whole world which is a conscious annihilation of population. It’s necessary to remind that Pol Pot studied in Paris and most likely it was no accident that he headed a former French colony Cambodia, having killed later most hideously and sadistically 2-3 million people. In order to save food the extra people were simply killed on industrial scale. Similar ideas are openly proposed today by certain people in USA which demands a legal assessment. Keywords: Nuremberg Trials, World War II, war, war crimes, crimes against peace, crimes against humanity. In other words, way back in 1914 it was preplanned to annihilate all the people just leaving 144 000 on Earth? It is obvious that the idea of the Russel & Co sect organizers has left its trace in their texts of Jehowa’s witnesses who consider themselves protestants but in reality they are a Judean sect. - Utmost killing of the Goyim (Gentiles). - Utter killing of the Goyim (Gentiles). Hess tried to tell the British that Germany was run by the USA. He didn’t suspect that the British government knew that and were the traitors to their own people. Rothschild &Co was in cahoots with Rockefeller & Co. WW2 has been planned together by Jewish and Anglo-Saxon groups. Rudolf Hess was definitely a hero of the German people. He fought bravely at the frontlines of WWI: first he was a battalion commander, then he was a pilot of “Richtgoffen” squadron headed by Goering. He was wounded twice, was awarded with 2 Iron Crosses. He was a lieutenant when the war was over. He knew first hand what war was about. He tried to prevent the war. Hess didn’t participate in the war against the USSR, but in 1945-46 he stood the Nuremberg trial being the 2d after Goering on the list of the war criminals. He was sentenced to life imprisonment (a Soviet judge insisted on corporal punishment, expressing his special opinion). Hess was imprisoned for life at Spandau prison in Berlin. After release of Speer he remained the only prisoner at Spandau. He never repented in anything. His last word at the Nuremberg trial was: “I don’t regret anything.” 30 years later in a letter to his son he wrote the same words. 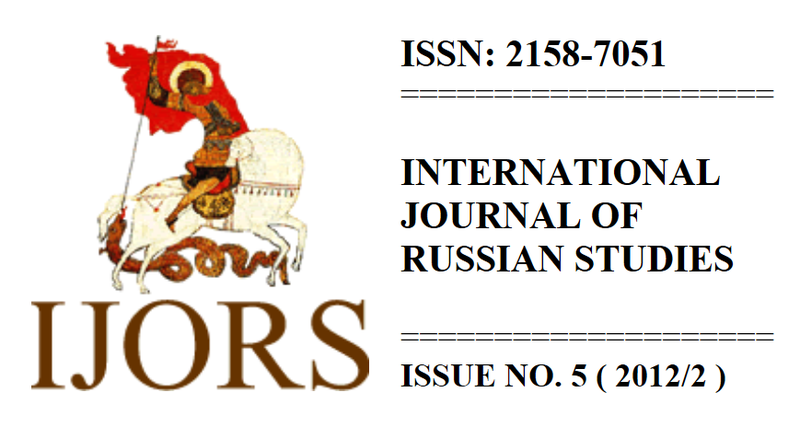 The article’s author proposes to prolong the Nurember trial on the basis of newly discovered circumstances without revision of current boundaries. Later the USA have brought Hitler to power in Germany and Stalin in Russia. Hitler and Stalin were both puppets in the hands of the USA. Russel visited Jewish leaders around the world - he travelled in the United States and abroad. He appeared in many meetings with lectures. His topic was “to teach to preach the return of the Jews to Palestine” as well as “the future Jewish government and the State of Israel”. In 1910 Russel was greeted by thousands of Jews at New York City hippodrome. He promoted the idea to bravely take away the land of Palestine. 1914 was the year of World War I beginning and the World Zionist Federation initiated immense pressure upon the British government to declare Palestine homeland of the Jews. Jehowa’s Witnesses think Jesus’ presence has begun invisibly. 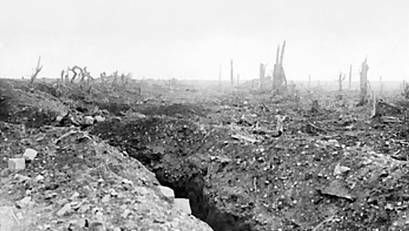 On the photo is seen the battlefield of World War I.
Stalin knew about external manipulation of Germany by America and he couldn’t comprehend why Germany should attack Russia? Why “the boss” should kill his own “vassals”? but this is only from the point of view of common logic, whereas if we look from the point of view of extremists Judeans then the logic is obvious: the Goyim should be killed! The USSR was run, most likely, directly from the American Embassy and Stalin was just a puppet. The key player was the NKVD (People’s Commissariat of Internal Affairs), KGB (Committee of State Security). That was, most likely, the occupants’ structure, running the colony, and its leaders were CIA (State Department) staff members. - To secure maximal losses of both sides. Was it possible not to observe such a plan? ”My father was killed by 2 Mi-5 secret service agents who changed their uniform (even though usually it’s Mi-6 agents who liquidate unwanted people abroad). The USSR KGB was not informed about the planned operation. It has been done so quickly that it didn’t even get its usual code name. The agents arrived at Spandau prison upon receiving the necessary instructions. 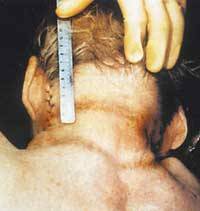 They tried to strangle my father with a 4 feet cable, but he began to break away and cry for help - later about that gave his evidence an American sergeant Jordan. US confirms everything. They plan to continue to kill!